Word came from Hollywood last week that the next movie in Christopher Nolan's stellar Batman franchise, The Dark Knight Rises, will not feature the Riddler. 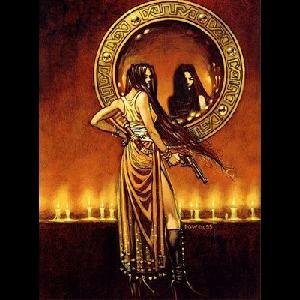 This naturally raises the question of who, therefore, will be the dark knight's next antagonist. 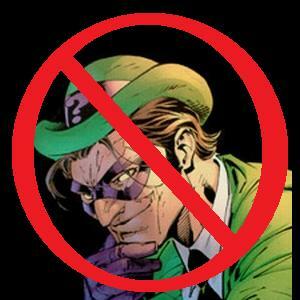 Given Nolan's track record, the entire rogue's gallery is open for consideration. In Batman Begins, Nolan used some of Batman's more obscure enemies, including Victor Zsasz and Ra's al Ghul, but then, in The Dark Knight, he brought out Batman's most famous villain, the Joker (who will not be returning for the next film). Therefore, he could use villains that are obscure and not yet seen on film, or he could reimagine villains we have all seen before. The hard part--and the only thing we really have going for us as we hypothesize about the next movie's villains--is putting the comic characters into the psuedo-realistic universe that Nolan has created. What follows are five villains who could, in theory, be used. If you disagree or have other ideas, please leave comments at the end! First of all, the honorable mentions: Deadshot (as a secondary villain), Dr. Hugo Strange (as a shrink who learns Batman's true identity), The Penguin (as a mob boss to rival Sal Maroni), Bane (as a steroid junkie who wants to destroy Batman), and Killer Croc (as a more realistically deformed man). The fate of Harvey Dent, a.k.a. 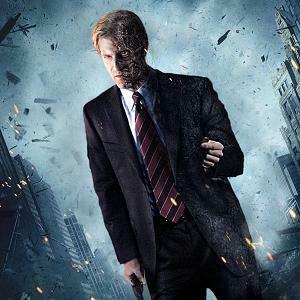 Two-Face, was made deliberately ambiguous at the end of The Dark Knight, which automatically puts him in contention for a return in the next film. The biggest apparent problem with this is that, if Two-Face survived and starts spreading murder and chaos once more, it means that Batman not only lost his philosophical battle with the Joker, but it would also mean that his sacrifice (becoming "the villain Gotham needs") was all for naught. Still, it's hard to think of a better place to start, with Batman hunted and hated for no good reason and Bruce Wayne bitter and angry about that, all while the constant reminder of his failures and mistakes is still stalking the streets of Gotham. A childhood friend of Bruce Wayne, Dr. Thomas Elliot, a.k.a. Hush, is a psychopath who attempted to murder his parents at a young age. He has deep psychological issues and an extreme hatred for Bruce, who he figures out is Batman. Hush is a master strategist, able to use his opponent's strengths against them, and a capable martial artist. 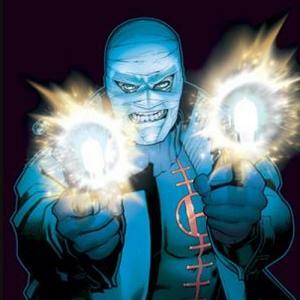 In the comics, he recruits several of Gotham's villains in his efforts to destroy the Dark Knight and uses his surgical skills to masquerade as Bruce Wayne outside of Gotham City. In his backstory, he is briefly under the care of one Dr. Jonathan Crane. Hush fits into Nolan's universe because his skills are not supernatural and because his character is so deeply rooted in psychology. He would definitely make for an interesting foil for Batman in the next film, especially considering his youthful connection to Bruce Wayne. 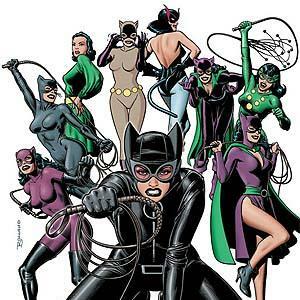 In order for Catwoman (a.k.a. Selina Kyle) to make sense in the scheme of Nolan's Batman universe, you have to consider the possible thematic directions the next film will take. The first two films all seem, in retrospect, to set up the moment--at the end of The Dark Knight--when Batman goes on the run and becomes an apparent enemy of Gotham City. Enter Catwoman. She sees herself as a crime fighter just like Batman, but she doesn't have Bruce Wayne's ethics. Nolan could play up her romantic interest in Batman and could use her to replace Rachel Dawes as the female lead. For Batman, though, he has to justify his own existence while simultaneously seeing Catwoman as a kind of villain. There is something there. Needless to say, the less realistic elements of Catwoman's persona would have to be omitted. Another potential female lead who is neither full-blown villain nor true hero, Talia al Ghul would be an interesting addition for the next film simply because she is the daughter of Batman's first true nemesis, Ra's al Ghul. She is often a villain because she is loyal to her father, but she also falls in love with Batman, eventually even fathering his child. She could work in Nolan's universe if Nolan plans on bringing the story full circle by bringing back the League of Assassins. Talia could show up as part of a plan to finish the job started by the League in Batman Begins. She could get close to Bruce Wayne--first as part of the plan and then later because she actually feels something for him--and then, at the climax of the story, she would have to choose between the League and Bruce. That has the potential to be incredibly cool. Roman Sionis, a.k.a. 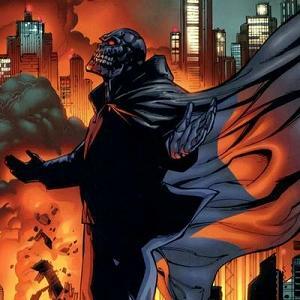 Black Mask, is a lot like Hush in that he was childhood friends with Bruce Wayne, he killed his parents, and he has an enduring hatred for Bruce Wayne and everything he represents. He comes from money, but fails at business, culminating in the family company being bailed out by Bruce Wayne. Roman discovers his aptitude for crime at this point and starts the False Face Society, a group of criminals who are forced to wear masks. Roman fashions his own skull-themed mask out of his father's coffin and becomes the Black Mask. He then begins kidnapping and maiming executives at Wayne Enterprises, which naturally gets the attention of Batman. This story could work really well in Nolan's universe for any number of reasons. Nolan has showed that he likes to reference current political themes, as he did very effectively in The Dark Knight, and Black Mask's story is ripe with class warfare themes, from economic troubles to corporate bail-outs and more. On top of that, his obsession with masks makes for an interesting--if obvious--motif that logically follows the previous films: with the arrival of a man dressed like a bat and a psychopathic clown, the bad guys are sure to realize how effective persona can be. Plus, Black Mask has no supernatural abilities and isn't abnormally skilled in any way, and he has yet to appear in any Batman movie to date. In short, after more consideration than is probably healthy, I have come to the conclusion that Black Mask is the most logical choice for the next big villain in The Dark Knight Rises, as long as the Riddler really is out of the running. Copyright ©2010 e. magill. All rights reserved.